The Queen's Handbook was inspired by "handbooks" that were distributed in the early 1900s at Queen's University. 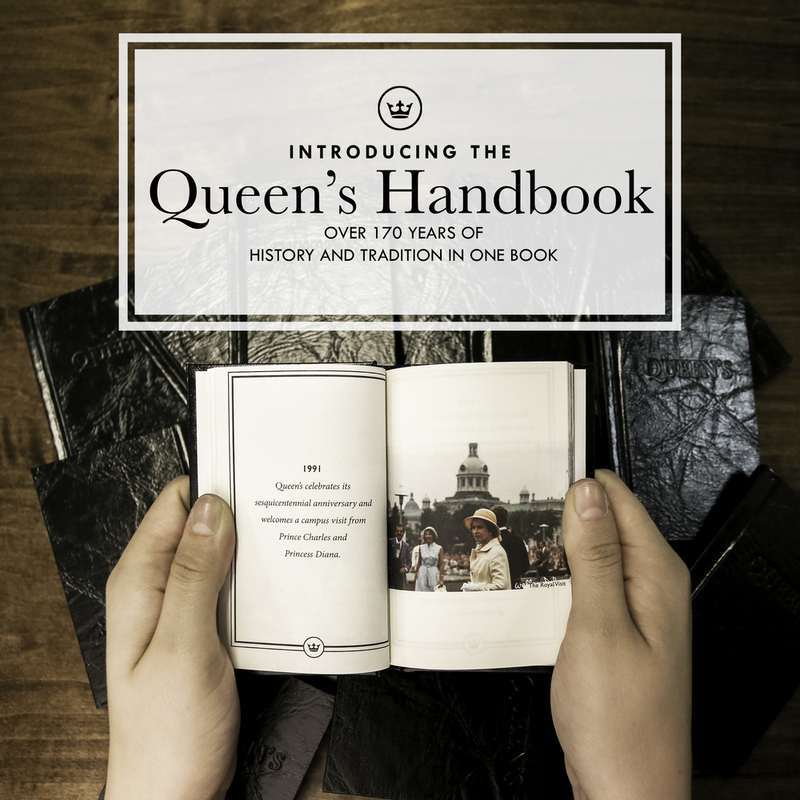 A pocket sized book with over 170 years of Queen's illustrious history, this publication was the first retail product and will be the first E-Commerce product, to come out of Studio Q. The marketing and distribution tactic targeted both incoming students as well as alumni. From online marketing (such as Facebook engagement of over 35%) to in-person sales tactics at alumni events, the Queen's Handbook was extremely well received and is en route to becoming a staple publication from the Yearbook and Design Services. I executed the publication design, graphic design, and oversaw the production process.